You’re likely familiar with some of their stories – journalists abducted or imprisoned for carrying out their jobs in areas of conflict. Their names have made headlines – Jason Rezaian, the Washington Post bureau chief held in Iran on a variety of charges, including espionage; Austin Tice, a freelancer detained in Syria since 2012; and Azerbaijani reporter Khadija Ismayilova, who’s been jailed in her home country since December. Then there’s James Foley, an American journalist and freelance war correspondent abducted in Syria in late 2012. Foley ultimately was beheaded Aug. 2014. 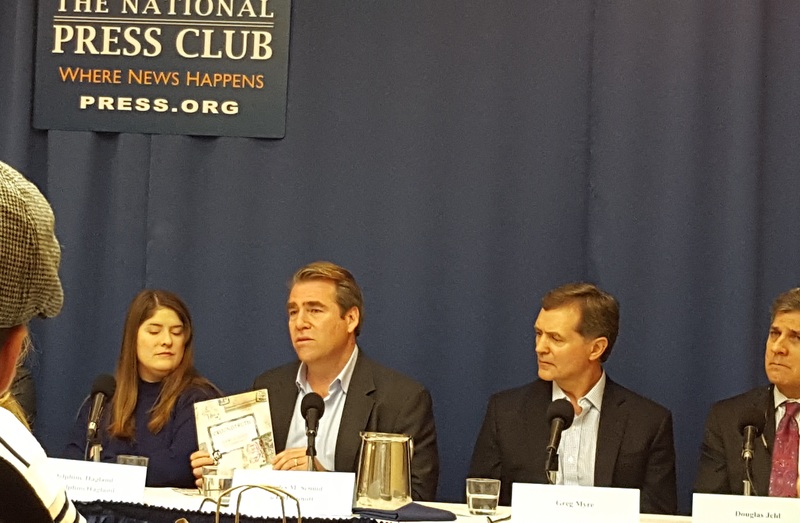 “We’re at a real turning point of rising peril for journalists that we’ve not seen for a very long time,” said Charles Sennott, founder and executive director of The GroundTruth Project and co-founder of GlobalPost. Sennott has 30 years of experience in journalism, reporting on the front lines of wars and insurgencies in at least 15 countries, including Afghanistan, Iraq, and Cairo, Egypt. The conclusion? The risks are very real. Sennott says many large news organizations, including The Boston Globe, The Philadelphia Inquirer, and Chicago Tribune, have folded their foreign correspondent desks. While foreign correspondents always have accepted some level of risk, journalists and freelancers today face violence everywhere. “We have seen when there are conflicts on the ground, press freedom is deteriorating and there’s a trend of violence for journalists covering demonstrations in countries like Turkey and Egypt, even [cities like] Hong Kong and Baltimore,” says Delphine Halgand, U.S. director of Reporters Without Borders. It’s also not only western journalists being targeted. Centered is Charles Sennott, founder and executive director of The GroundTruth Project and co-founder of GlobalPost. Is a Story Ever Worth the Risk? The problem is that the risks aren’t always clear until it’s too late. Freelancer Rasha Elass covered the Middle East for 10 years, including the war in Syria, for a variety of news agencies like Reuters, The Los Angeles Times, and NPR. On one particular assignment, Elass recalled crossing over a lake into Syrian rebel territory and being told the lake often was targeted by air strikes and sometimes snipers waited on the other side of the lake. And still, once they were to reach land, there would be a 45-minute drive over rough terrain without a lot of tree cover and helicopters could target their vehicle. Some news organizations like NPR have a security consultant working with foreign correspondents. Other news agencies still are figuring out their best courses of action. NPR’s security consultant is available for freelancers, says Greg Myre, international editor with NPR. Myre previously was a foreign correspondent from 1987 to 2007 with The New York Times and Associated Press. 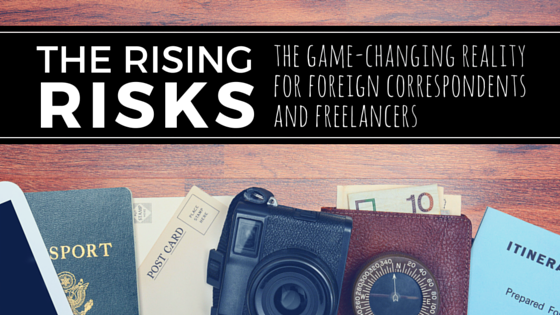 “We’re sending fewer and fewer freelancers into dangerous places,” Myre said. But reporting is a two-way street, the panel agreed. Freelancers and journalists must do their part to research, plan ahead, weigh risk, and get appropriately trained and properly credentialed. The GroundTruth Project publishes a field guide for correspondents. Sennott said Foley was an experienced correspondent. The James W. Foley Legacy Foundation advocates for the release of American hostages kidnapped abroad by partnering with the government and American media by establishing a resource center for hostage families. It also supports press freedom and the rights of freelance journalists.